DESIGN AND PROPOSE PUBLIC SAFETY NETWORKS THAT WILL GET APPROVED THE FIRST TIME. The design and performance of a public safety network can make a critical difference for emergency responders and the people they are helping to protect. The networks need to handle real-time communication, varying densities of data, and always be reliable. But designing a public safety network has it's challenges. There are inconsistencies with applying code, approvals are not easy to obtain from authorities that have jurisdiction (AHJs), the buildings are not always built yet, every region has it's own requirements, and building owners are wary of aesthetics and surprise costs that arise during installation. An approved public safety network starts with an accurate public safety network design. iBwave Solutions provides the most powerful solution to design and deliver public safety networks that building owners, first responders, and the public can rely on. Our software makes it easy to design and simulate network performance for greenfield or existing buildings, to work with building owners and authorities having jurisdiction. Plan, design and propose public safety networks that building owners and AHJs will approve. Simulate network coverage for a greenfield or existing building to ensure it will meet regulation requirements before it's deployed. 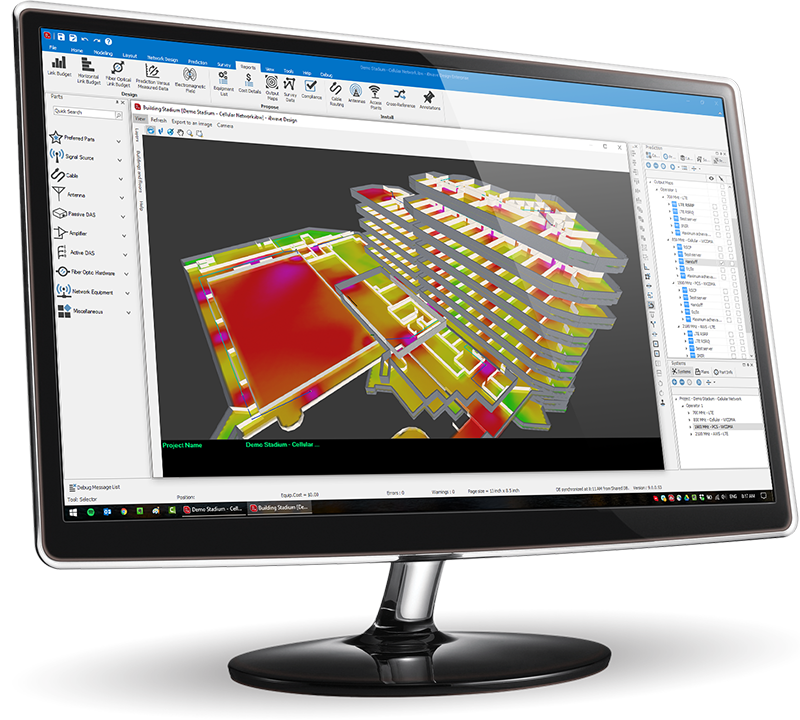 Easily show building owners 3D heat maps to give them confidence in the design and coverage. Automate and streamline many of the tasks in a wireless network design that can take hours when done manually. RF Link budget calculations, performance simulation, reporting, an accurate bill of materials, and more. 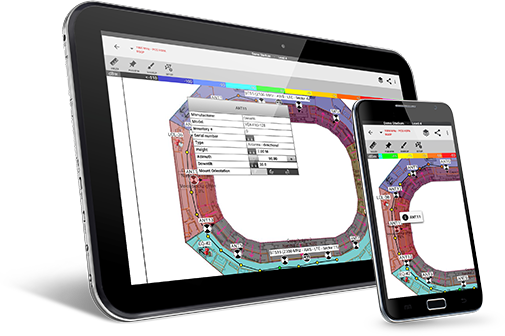 Provide AHJ stakeholders with a free read-only version of iBwave Design to open and view network designs in 3D. Save, access and share files with stakeholders via the cloud. Accelerate the bid submission process with our automated features and large database of accurately-modeled vendor parts. Quickly generate an accurate bill of all materials required for the design and provide accurate cost estimates to your customer. Easily design public safety networks in accordance with different regional requirements. Re-use previous DAS or public safety network designs to start new projects. 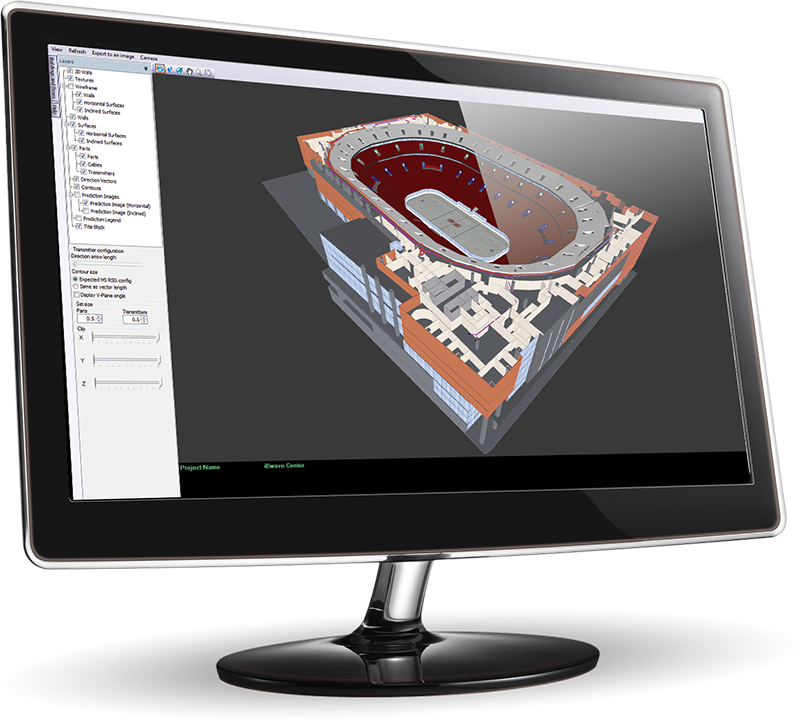 Help building owners and AHJs to visualize the network by showing them the design in our advanced 3D viewer. Show them equipment placement, cabling and simulate performance, all in 3D. We provide a suite of products and training for planning, designing and delivering public safety networks. SUPPORT IS DELIVERED BY OUR TEAM OF NETWORK DESIGN EXPERTS. AVAILABLE WORLDWIDE, AT ALMOST ANY TIME. WE'RE HERE TO HELP. OUR COURSES TEACH YOU THE LATEST IN-BUILDING WIRELESS NETWORK PLANNING AND MANAGEMENT TECHNIQUES.